The Daily Mirror’s Pride of Britain returns this year with a Mini tour of the UK’s cities – and today it was Cardiff’s turn for a visit. The TSB community partner awards for Local Pride are all about nominating people in the local community who do amazing things, and we’re not short of those in Roath. Every Saturday morning, for example, Keep Roath Tidy – a group of local volunteers supported in its aims, and with materials, by Keep Wales Tidy – wends its way around the streets of Roath clearing up rubbish and litter. Originally set up by Cynefin Cardiff after consultation with residents, the group has grown from strength to strength, but always needs more volunteers to help keep our lovely part of Cardiff spick and span. Plasnewydd Community Garden, a long-standing group which secured some unused land in the community from the Council, is entirely run by volunteers to grow food, which is then given away. During the year you can also get free plants from the garden. Again, new volunteers are welcome to help sustain this community gem. More recently, a project to reinvigorate the Mackintosh Community Garden has begun, to create another green resource right in the centre of Roath. They recently hosted a #GreatGetTogether event in honour of Jo Cox MP, to bring different parts of the community together. 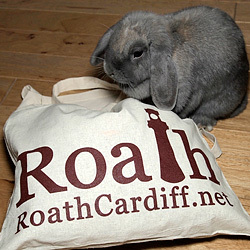 Our annual arts festival, Made in Roath, which has grown over the years from a small weekend community event to a 10 day local arts extravaganza, is also run by a volunteer committee, and depends on the help of an army of volunteers to ensure everything runs smoothly, and is something we are extraordinarily lucky to have in our area. And of course, the spectacularly successful charity fundraising events organised by Wayne Courtney and his team of volunteers that they’ve held in our community over the last few years: Roath Rocks, The Roath Bake Off, and Rock 4 Life, have inspired and involved so many of us in social events where many thousands of pounds have been raised for medical equipment. We know there must be other wonderful groups and individuals, but who are they? Let us know in the comments or tweet us @RoathCardiff using #PrideofBritain. Find Pride of Britain on Twitter and Facebook; and Pride of Britain’s community partner award sponsor TSB on Twitter and Facebook.